If you’re looking to buy solid state drives (SSDs) from SanDisk to speed up your servers, you might be out of luck. A California court has issued a preliminary sales ban for controller chips that SanDisk uses in its high-speed SSDs. The injunction was issued against a Canadian company called Diablo Technologies, which manufactures controller chips for SanDisk’s ULLtraDIMM SSDs. Under the court’s order, Diablo and SanDisk are prohibited from manufacturing and selling the controller chipset used by SanDisk in its ULLtraDIMM SSD, and as a result they are also barred from further sale or distribution of the ULLtraDIMM itself, said Netlist, a U.S. company which designs and manufactures high-performance, logic-based memory subsystems for servers. The injunction “affects all modules containing Diablo components,” Netlist said. This means that the order has an effect on IBM, which uses components derived from Diablo technology in ULLtraDIMM and eXFlash modules. 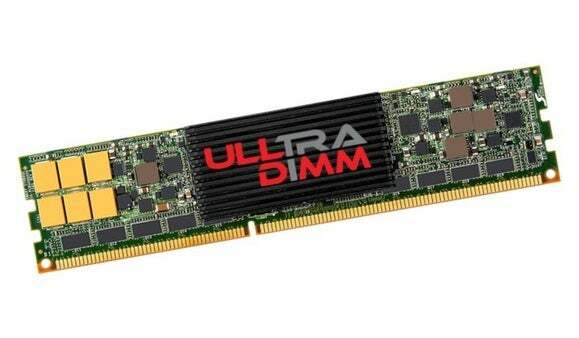 It could also have an effect on Huawei, Lenovo and Supermicro, which are looking to offer ULLtraDIMMs in their server platforms, Netlist added. SanDisk’s ULLtraDIMM SSD connects flash storage to the memory channel via standard DIMM (dual in-line memory module) slots in order to close the gap between storage devices and system memory, potentially reducing write latency to less than five microseconds, according to SanDisk. Netlist said it invented and patented a memory interface technology that significantly increases the speed of servers some time ago, and it contacted Diablo to implement memory-controller chipset based on this technology. But after this, it found Diablo stole its trade secrets and incorporated them into Diablo’s own products, Netlist alleges. Judge Yvonne Gonzalez Rogers of the U.S. District Court for the Northern District of California found on Jan. 6 that the evidence indicates that Netlist is likely to prevail in the suit by showing that the Netlist technology was used by Diablo to develop its controller chips, according to a Netlist news release. This was reason she ordered the preliminary injunction. “By misusing the technology that Diablo had been given in confidence under the Supply Agreement [with Netlist], Diablo gained an advantage it would not have otherwise had,” said Rogers’ order, according to Netlist. The judge rejected Diablo’s arguments that it somehow had rights to use Netlist’s chipset and technology under the agreements, Netlist said. The court document with the order is not available to the public right now, as it was filed under seal. While the sales ban is preliminary, a permanent ban might be issued after trial, which is scheduled for March, Netlist said. The case, however, could be settled for a sum between US$25 million to $50 million at the low end, which could effectively double the market cap of Netlist, said analyst firm Needham. Diablo appealed the court’s order for a preliminary ban to U.S. Court of Appeals for the Federal Circuit, a court document filed on Monday showed. Companies whose components may be affected by the injunction were not immediately available to comment. Editor's note: The second paragraph of this story was edited on 1/28/15 to clarify that the injunction was against the controller used in SanDisk's ULLtraDIMM SSDs.